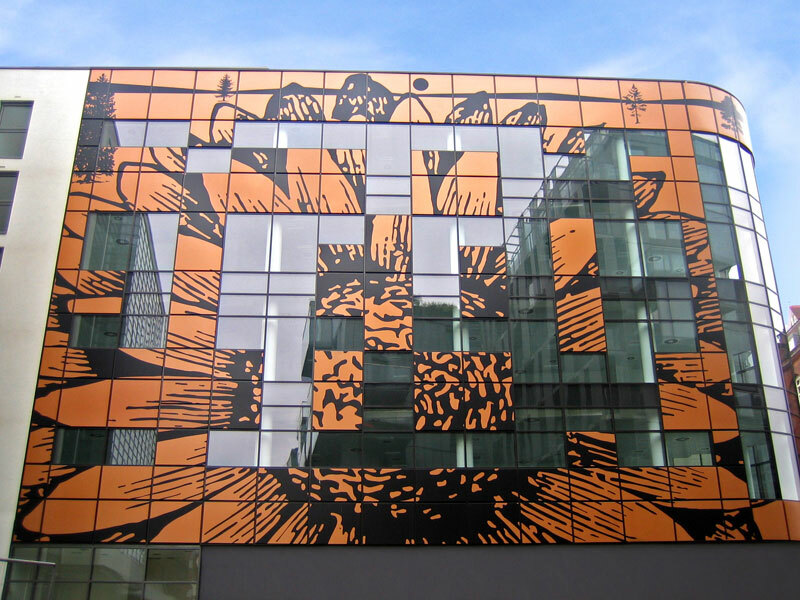 Fleetwood Architectural, based in Slough, were commissioned to supply an etched sunflower design to the front façade of a landmark London building. 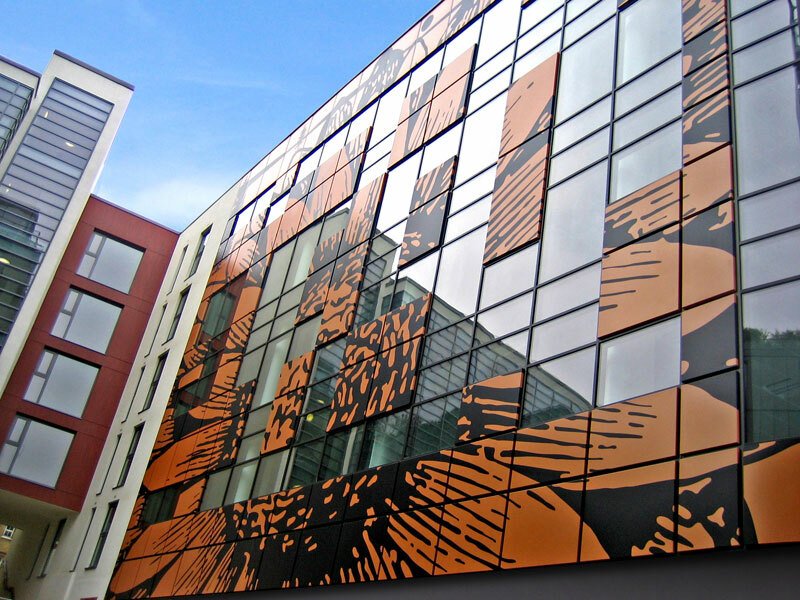 The panels to be treated were infill panels around the window openings and were to be black etch effect on a bronzed background. Effectively working in reverse Bonwyke took the artwork and created a negative of the pattern and then cut these into a paint mask material. Each piece, due to the nature of the design, had to be filmed in a sequence so that when they were finally installed the sunflower design would match on a grand scale. Once these panels were masked the black etch effect could be achieved by blasting the top surface 50microns of the bronzed top coat material revealing the black base material. The paint mask was then removed revealing each piece with artwork on. Bonwyke project management team ensured the smooth running of the contract so that all pieces fitted together in a controlled ‘jigsaw’ manner when assembled on sight by Fleetwood.